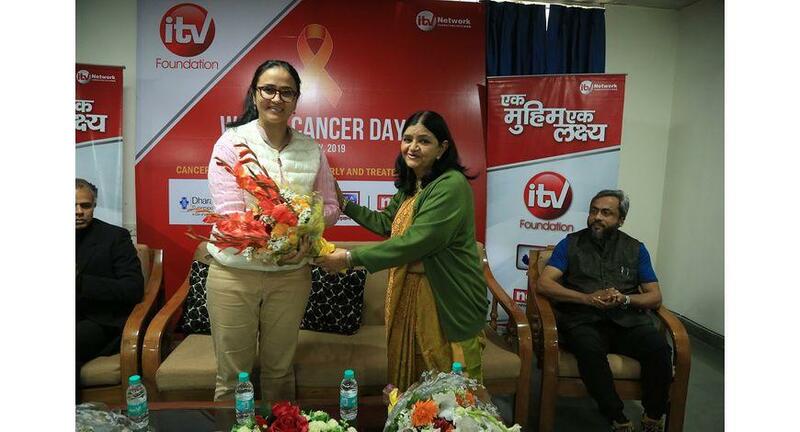 iTV Foundation, the corporate social responsibility (CSR) wing of iTV Network, commemorates world cancer day by organizing a health talk on the prevention of cancer disease, the event was organized on Monday at Dharamshila Narayana Superspeciality Hospital, New Delhi. The cancer prevention health talk was hosted by the team of superspecialist doctors of the Dharamshila Narayana Hospital to create awareness and education about the fatal disease and howtreating cancer at an early stage can save lives. The initiative is an evidence of iTV Foundation's commitment to provide quality medical care and create awareness about the fatal disease.